When it comes to quality, Karmatara believes in stringent quality checks at every stage of production making it an integral part of the production process. Regular quality checks are carried out by experienced and highly qualified engineers and inspectors in-house as well as by external agencies. 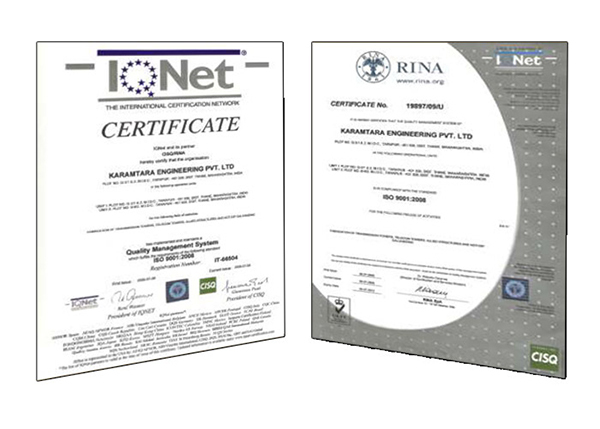 Karamtara Engineering is an ISO 9002, ISO 14001 & OHSAS 18000 certified company. Total conformance and timely supply of product to customer specified requirements. 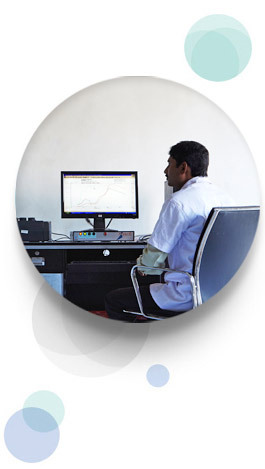 Total customer satisfaction by means of continuous improvement of our products and service. Continuously upgrading quality systems and modernizing manufacturing facility. All our plants are equipped with the in-house Testing Facilities.